Interior restaurant wall, Chiang Mai. 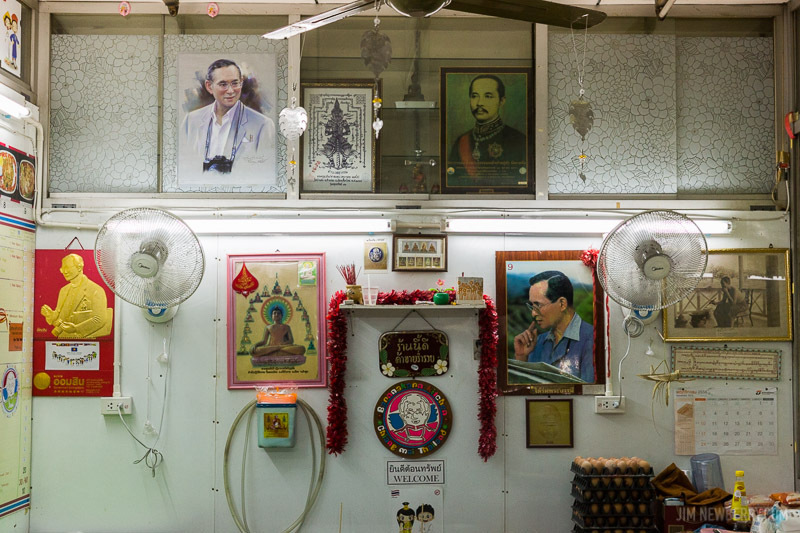 I believe that’s King Bhumibol Adulyadej (Rama IX) portrayed three times, and Phra Bat Somdet Phra Poraminthra Maha Chulalongkorn Phra Chunla Chom Klao Chao Yu Hua (Rama V) in the upper/center/right. What a very long name!